Galt Publishing features books on wealth creation and preservation, with a specific focus on identifying early-stage alcohol and other-drug addiction before becoming financially, professionally or romantically involved. 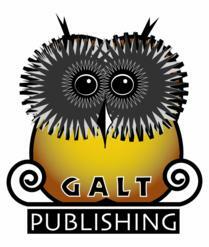 Since most financial (as well as physical and emotional) abuse of others is rooted in substance addiction, Galt’s books are invaluable in showing which seemingly innocuous misbehaviors are frequently clues to an underlying (and often completely hidden) addiction, as well as why. They also explore the far-reaching social consequences of addiction in history, biographies and current events.